An unnamed senior al-Nusra Front commander told journalist Jürgen Todenhöfer that the group, considered to be terrorist by the United States, Russia, as well as the United Nations, has received weapons, particularly the BGM-71 TOW anti-tank missiles, from the US, German weekly news magazine Focus reported. "The missiles were handed over directly to us. Americans are on our side," the media outlet quoted the militant commander as saying. The remarks came in response to Jürgen Todenhöfer's question whether any intermediaries, including the US-backed Free Syrian Army, were involved in the weapons transfers. 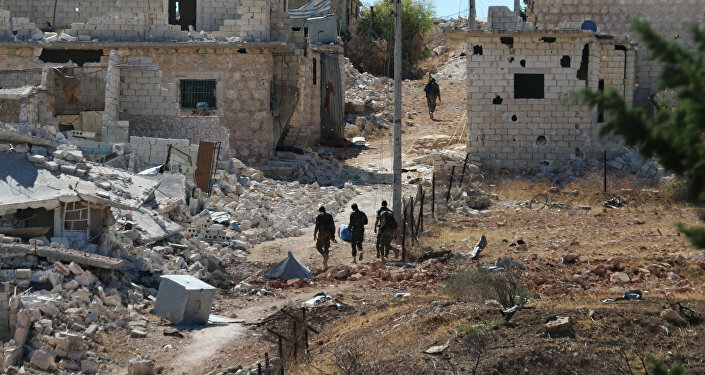 Al-Nusra Front has been one of the Damascus' fiercest opponents. The terrorist group has been fighting to overthrow President Bashar al-Assad and establish a caliphate in Syria. The commander confirmed this. "We will fight until the regime is toppled," he said, referring to Assad's government. Al-Nusra Front wants "to establish an Islamic state that will be ruled according to the Sharia law. We do not recognize any secular state." Al-Nusra Front was founded as al-Qaeda's offshoot in Syria, but has recently cut ties with the global terrorist network, changing its name to Jabhat Fateh al-Sham (the Front for the Conquest of the Levant). Experts have said that the rebranding has not affected the group's goals or the means of achieving them. Headquartered in Idlib, al-Nusra Front has also been active in the province of Aleppo and its capital of the same name. One of the largest cities in the country has been at the center of the latest agreement negotiated by Russian and American diplomats. 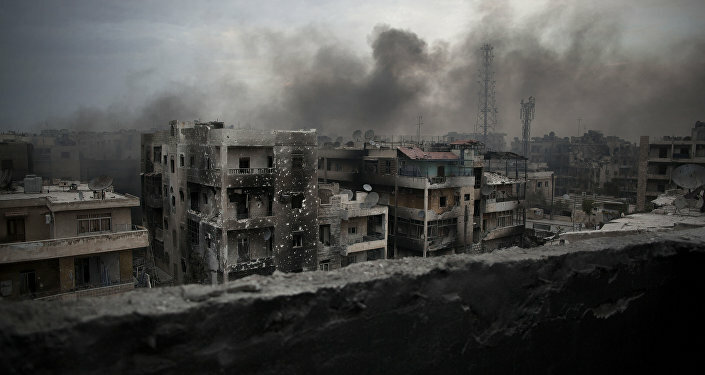 The deal paved the way for a ceasefire and humanitarian aid deliveries to rebel-held areas of the city. On September 19, the day when the Syrian ceasefire crumbled, a UN humanitarian convoy came under attack that left at least one aid worker and around 20 civilians killed. The US blamed Russia and Syria for the attack, with Moscow and Damascus denying these groundless allegations. Interestingly, the al-Nusra Front commander also mentioned the UN aid convoy. Keep in mind that Todenhöfer, the first Western journalist to be granted access to Daesh's caliphate, conducted the interview ten day ago, before the attack. The commander said that the militants would not allow UN trucks carrying aid to enter Aleppo if the Syrian Arab Army does not withdraw "as required." "The regime must withdraw from all areas in order for us to let the trucks in. If a truck drives in anyway, we will arrest the driver," he detailed.